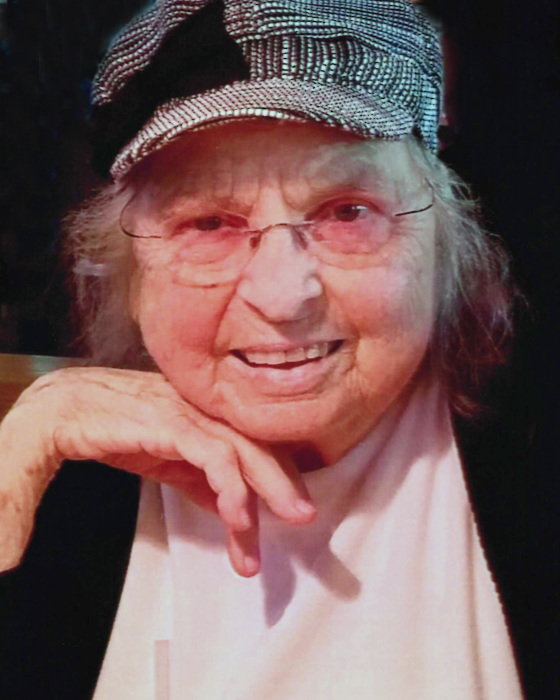 Mildred “Millie” S. Coomer Blum, 90, of Newton died on Friday, April 5, 2019, at Mercy One Newton Medical Center. A funeral service will be held at 11:30 a.m., Friday, April 12, at the Wallace Family Funeral Home and Crematory. The family will greet friends from 10:00 a.m. until the time of service at the funeral home and again after the service with a lunch at the funeral home. Memorials to The Well – a ministry to the homeless in Tampa, Florida that was founded and directed by her grandson, Jon Dengler. Millie, the daughter of Sidney and Mary (Hoover) Franklin, was born on May 10, 1928 in Wayne County, Kentucky. She grew up in a large family and learned the value of hard work at a young age. While working as a waitress, which she would do at different times throughout her life, she met Kermit Coomer. They were later married on December 19, 1947 at a small country church in Wayne County. After they were married, they moved to Indianapolis for a short period of time and then briefly back to Kentucky before making their home in Kellogg, Iowa in 1949. There Millie and Kermit would begin raising their three daughters; Connie, Patricia, and Vickie. In those years, the girls remember going to the Kellogg Christian Church and hearing their mother happily singing while she was cooking and baking from scratch and cleaning. In May of 1964, Kermit died suddenly, leaving Millie to be the rock for her three young daughters. On January 21, 1966, Millie began her joyful songs again when she was married to Lyle Blum, who was also widowed at a young age and was raising his son, Terry, and daughter, Mary, in Kellogg. As Lyle and Millie joined their families and moved to Newton, those familiar hymns continued to be sung while Millie packed yummy lunches for fishing trips and for the kids and also while she cleaned the house and boy, did she like to clean. Millie was also known around her neighborhood for her daily eight-mile walks that she took which resulted in her strong heart until the very end. Millie was also an exceptional grandmother and great-grandmother. Whether her grandkids lived near or far each of them enjoyed their special time with Grandma Millie, Grandma-Great, or G.G., all names that she was affectionately called. She had a way of making each and every one of her kids and grandkids feel special with a nickname, a special meal or dessert that would be waiting for them, or just that ornery twinkle in her eye as she was leaning in for a kiss or hug. Those left to carry on her stories in Millie’s sweet Kentucky drawl are her children, Connie Dengler of Tampa, Florida, Patricia McPherren (Steve Schoenfeld) of Boynton Beach, Florida, Vickie Lundberg (Keith Beal) of Newton, Terry (Joy) Blum of Tabernash, Colorado, and Mary (Joel) Rich of Omaha, Nebraska; grandchildren, Jon Dengler, Natalie (Graham) Caldwell, Troy (Dana) McPherren, Jeff (Sara) McPherren, Ryan (Shea) McPherren, Matthew, Andrew, and Maggie Schoenfeld, Brian (Sirena) Lundberg, Brett (Chantelle) Lundberg, Leslie (Scott) Christiansen, Brian (Wendy) Beal, Todd (Margaret) Blum, and Aaron (Molly) Rich; her great-grandchildren, Corbin, Delaney, Elly, Colin, Brody, Gunnar, Emlyn, Noele, Dylann, Derek, Chase, Aidan, Camdan, Dakota, Zayne, Michael, Cierra, Ariana, Lilliana, and Levi; siblings, Betty Zimmerman of Martin Tennessee and Glen (Linda) Franklin of Paolo, Kansas; and her many, many nieces and nephews. She was preceded in death by her parents; first husband, Kermit Coomer; second husband, Lyle Blum; grandson, Seth Rich; son-in-law, Bill Dengler; and nine siblings.